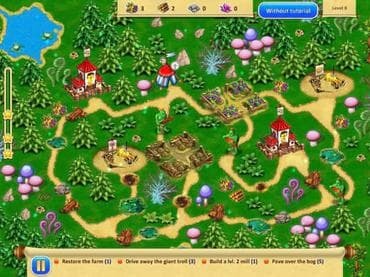 Gnomes Garden 3 — a new chapter in this exciting fantasy/strategy game. Head off into unknown lands and defeat the warlock! If you like this free game, try Gardens Inc 2: The Road to Fame. If you have questions about Gnomes Garden 3 game, please contact us using this form.